Soak the arame seaweed in water. 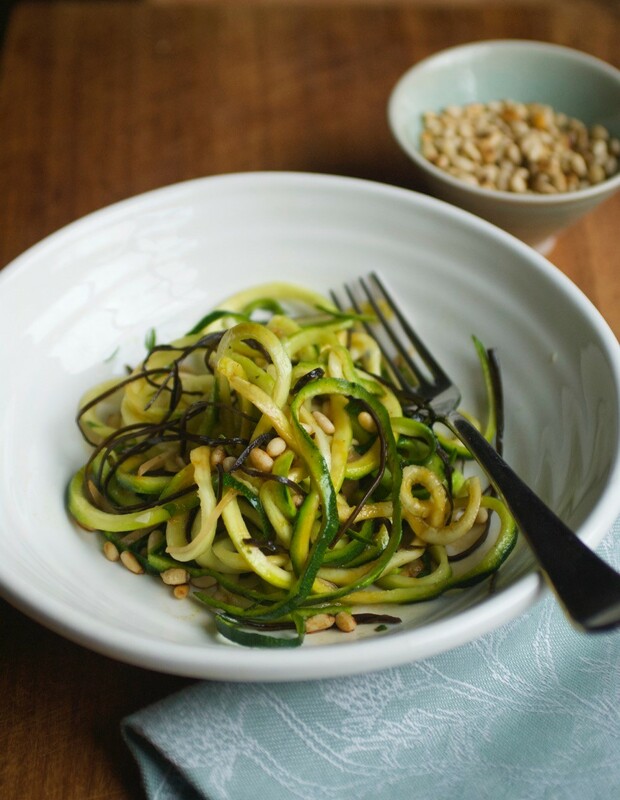 Spiralize or slice your courgettes into long thin ribbons. Heat up a frying pan with the sesame oil & rapeseed oil and toss the courgette and garlic for a few seconds, until the courgettes soften. Serve sprinkled with pine kernels or peanuts. This could also work as a main dish with 50g of soba noodles per person, cooked and added to the dried courgette.